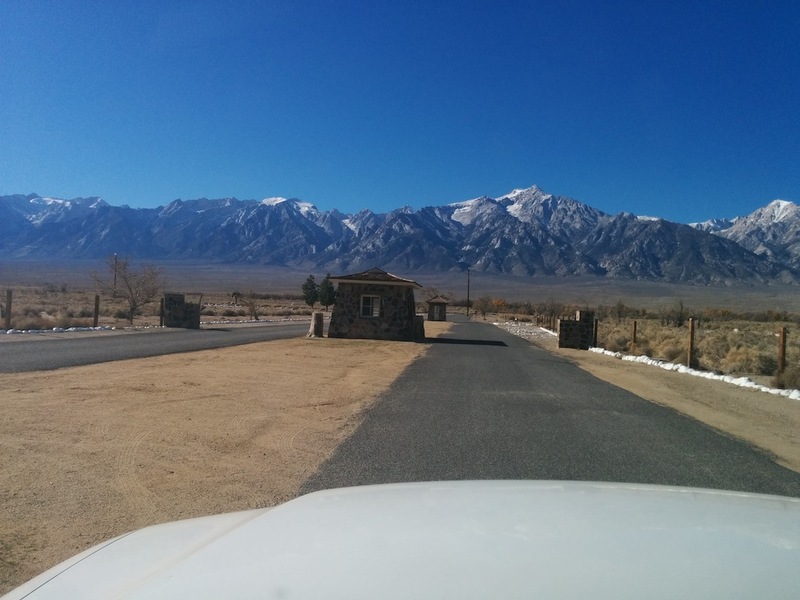 About 14 miles north of Lone Pine on the ironically named Manzanar Reward Road is the Manzanar National Historic Site. In 1942, the United States government ordered more than 110,000 people of Japanese-ancestry to leave their homes and be detained in remote, military-style camps. 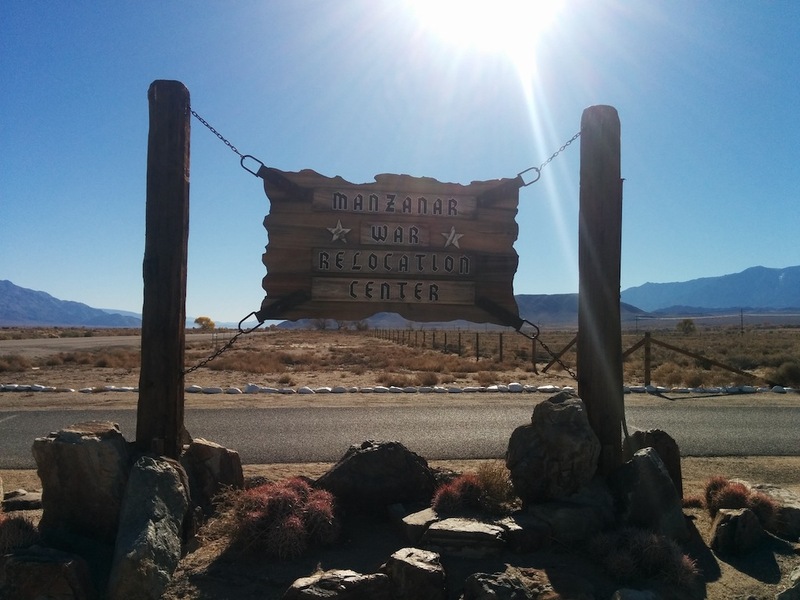 Manzanar War Relocation Center was one of ten camps where Japanese American citizens and resident Japanese aliens were interned during World War II. I wrote a report about Manzanar in Junior High School and the sign on the Highway caught my eye so we decided to turn off and take a look. 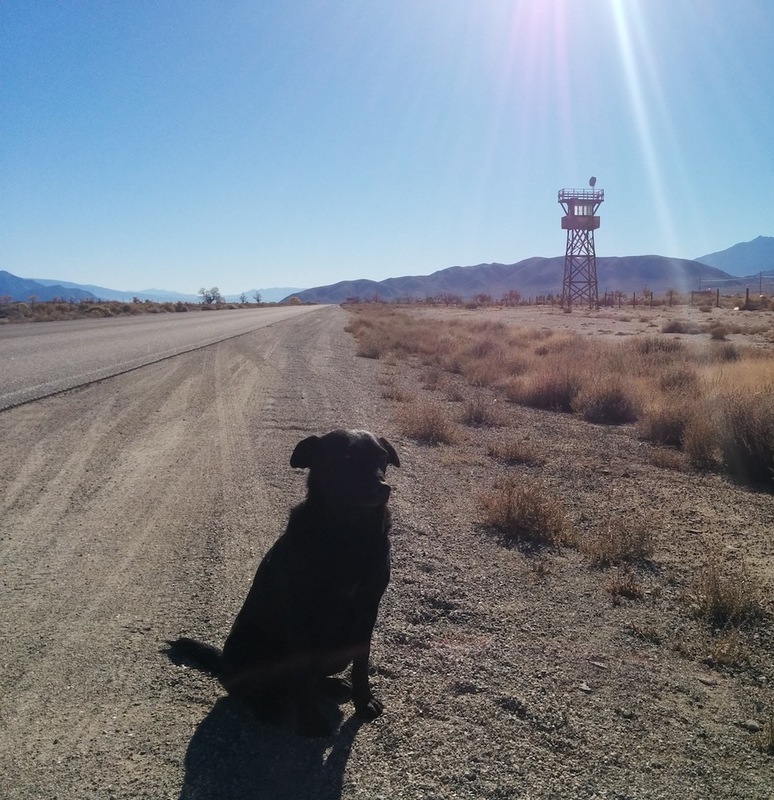 Immediately after turning off Hwy 395 and left onto Manzanar Reward Road we are confronted by an iconic symbol of repression, the guard tower. We weren’t eager to be seen taking such a frivolous picture so we stopped down the road from the tower itself for the photo opportunity. As we turned into the camp site what immediately struck us was the beautiful view of the Whitney Mountain Range to the west of the camp. We’re guessing that might have been lost on those who had to spend time locked behind the barbed wire. As we are still on a schedule and really were not in the mood for a lesson in depressing history we decided not to go into the museum itself and instead just did the driving loop around the camp seeing the areas where individual blocks and camp facilities used to be. Maybe next time we will stop for a longer, more in-depth visit.